Hold on, Norway isn’t in the EU, is it? 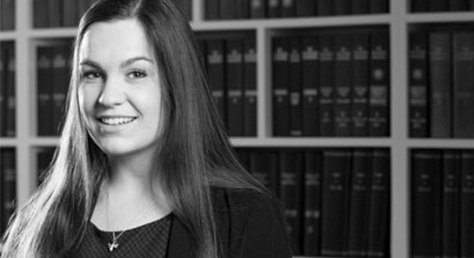 Family trainee solicitor, Felicity Jones considers how jurisdiction conflicts may be settled post Brexit. The case of JA v TH (1996 Hague convention: Request to Exercise Jurisdiction)  EWHC 2535 (fam) involved a split family. The mother and older child were in Norway and the father and younger child were in the UK. The parents were seeking the Court’s intervention in relation to contact between the children and the parent with which they did not live. The mother made an application in Norway, and the father in the UK. He also applied for both sets of proceedings to be heard in England. There are specific rules in place in relation to transferring proceedings between jurisdictions. The father’s legal team argued that the proceedings should be transferred under Brussels II (a Regulation of the European Union). However, as the Judge pointed out, Norway is not in the EU, and the legal teams were sent away to reconsider their arguments. The Contracting State to whom the proceedings are to be transferred is the state of which the child is a national or a state with which the child has a substantial connection. In this case the Courts in England and Wales felt that they were better placed to assess the best interests of the younger child, given that they were involved in the proceedings involving the older child and that the younger child had lived in the UK until 1 year before and was a UK national. The English Court requested from the Norwegian Court the authority to conduct the case in relation to both children. The mother was not represented in the English Courts and so did not make her own application for the proceedings in relation to the older child to be transferred to Norway. It is unclear whether the outcome would have been different if she had done so. It is expressly stated in Articles 8 and 9 of the Hague Convention that the Courts “may proceed to an exchange of views” and so it is quite possible for the English Judge and Norwegian Judge to discuss the issues, if it is appropriate to do so. Had the mother lived in another member state of the EU the regulations contained in Brussels II would have applied. Since the Government intends to trigger Article 50 imminently and to begin Brexit (and it is currently unclear whether or not the UK will remain bound by Brussels II) it may be that more and more cases will be dealt with under the Hague Convention, although the test does not appear to be very different in practice.